Our Large First Aid Organizer is the best way of organizing all your essential medical items all in one pouch! It fits various items from plasters, creams, scissors and medicine etc. It comes with a thick protective exterior and a spacious interior with plenty of compartments! Perfect for home or travel usage, this is an important kit for any family! 1 elastic band to hold creams and scissors in place! You might be interested in our compact First Aid & Medicine Organizer! 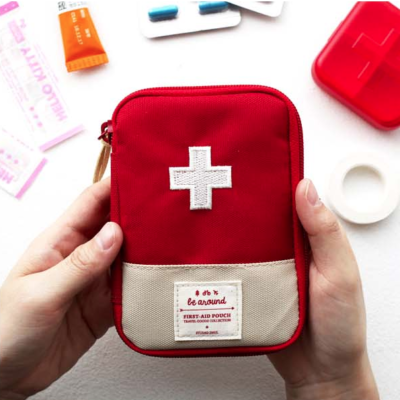 The Mini Medical Organizer is a charming and adorable medical pouch that will be a great travel buddy! With its portable size, it fits easily into any handbag, backpack or sling bag! 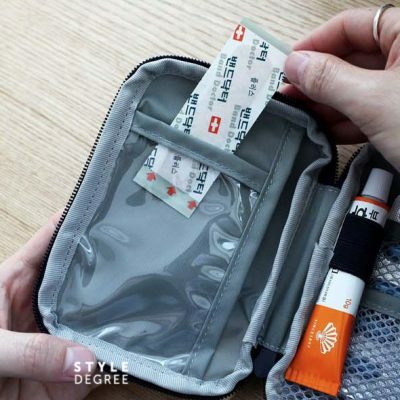 Inside the pouch, there is a unique layer with a mesh zipper to store essential first-aid items and to act as a divider! Scroll through our product gallery below and bring this essential organizer for your next trip! Safety is always top priority, especially when travelling! Our Slim First Aid & Medicine Organizer helps to keep all your important medication and first aid essentials organized and protected. Perfect for creams, plasters, pills and more, stay safe with us today! From supplements to medication, store your pills in an organized manner with our Weekly Medication Organizer Box! 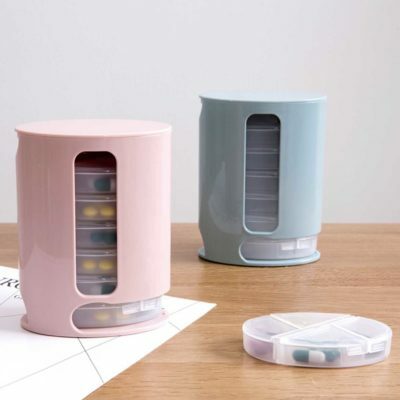 Coming with 1 main storage box and 7 slim containers, it is easy to keep track of a week’s worth of medication. Perfect for use at home, in the office or on your travels, stay healthy with us today!